HAWTHORNE, CA--(Marketwired - Sep 20, 2016) - Fulham Co., Inc., a leading supplier of lighting components and electronics for commercial and specialty applications, today expanded its LED emergency product family with the new HotSpot Constant Power LED Emergency Driver. 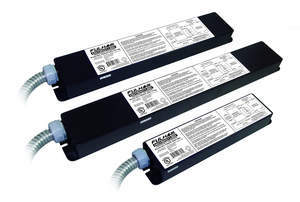 Easily installed in the field or factory, this emergency lighting system comes with an integrated power source that can provide more than 90 minutes of emergency lighting. The HotSpot Constant Power LED Emergency Driver was specifically developed to be an easy-to-install emergency lighting solution that can adapt to most local emergency lighting requirements. The product gives Fulham's channel partners a versatile, reliable emergency lighting kit that elegantly combines the emergency LED driver with a NiCd battery in a single unit. "The channel has been asking for a constant power LED emergency lighting system flexible enough to be installed almost anywhere," said Alvaro Garcia, Product Director for Fulham. "With the new HotSpot Constant LED Emergency Driver we have delivered a complete constant power emergency lighting solution with power options from 5W to 17W. For many installers, this product family is the only emergency lighting system they will need to use." Fulham's new HotSpot Constant Power LED Emergency Drivers are cULus classified and come with multiple mounting options, a conduit feed, and an LED illuminated test switch for simple testing and safety compliance. The unit can be installed in minutes and provides constant output wattage, automatically adjusting the voltage as needed. The new emergency HotSpot LED drivers come in five models with outputs at 800, 1,250, 1,700, 2,200, and 2,700 lumens when used with typical 160 Lm/W LED modules. All HotSpot Constant Power units are UNV, 50/60Hz input with an output voltage from 20 to 50VDC, and come with Fulham's 5-year warranty. The products are now available from Fulham distributors. About this company Fulham Co., Inc.